MOSCOW, April 17. /TASS/. 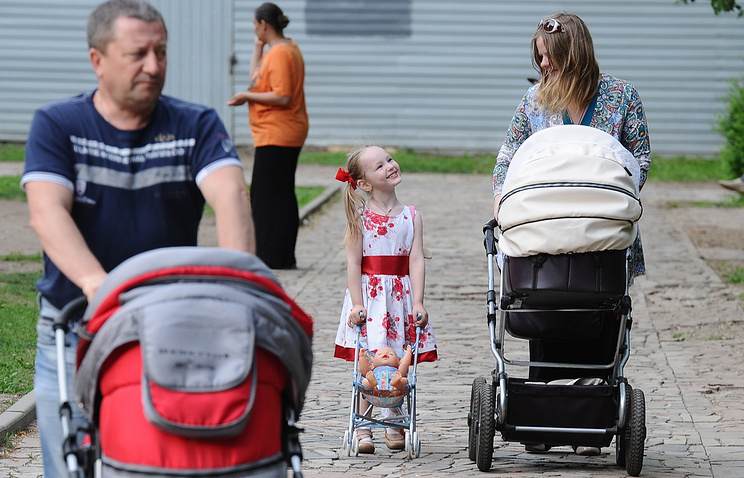 Russia must prevent a demographic collapse similar to the one that occurred in the 1990s, Prime Minister Dmitry Medvedev said in his annual report to the State Duma (the lower house of parliament) on Wednesday. “Today, we clearly see the consequences of what happened in Russia demography-wise in the 1990s, when the mortality rate exceeded the birth rate,” he said. “Demographers even identified this phenomenon as ‘the Russian Cross.’ Unfortunately, not many people were born in the 1990s. We need to prevent another demographic collapse and increase the average life expectancy to 78 years by 2024, taking it to 80 years by 2030,” Medvedev specified. He added that the average life expectancy in Russia was rising, reaching nearly 73 years in the previous year and even exceeding the 75-year benchmark in some of the country’s regions. However, in other regions, the average life expectancy is still below 70 years and these regions “require special attention,” Medvedev pointed out. The prime minister also said that in 2018, the infant mortality rate dropped by 7.3% and road traffic mortality rates decreased by four percent. In addition, deaths from cardiovascular diseases and tuberculosis has also declined. “This work will definitely be continued, including… measures to support families with children and advance the healthcare sector,” Medvedev emphasized. Hey Buddy!, I found this information for you: "Russia must prevent population decline, PM Medvedev says". Here is the website link: https://russophile.org/russia-must-prevent-population-decline-pm-medvedev-says/. Thank you.